No two batches of Diamond Peak are the same. 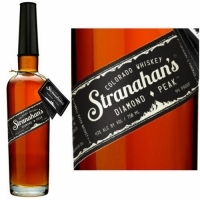 Stranahan's Diamond Peak is aged in #3 char New White American Oak barrels. Notes include dried stone fruits, caramel, freshly sawed wood, espresso, spicy chocolate, and seasoned oak.